The corruption and resultant coverup, ever constant, regarding the revelations Carol Woods has and still is detailing is truly staggering, with anybody in government who has been contacted refusing to do anything about any of it, from the P.M. down to Chief Constables, and so-called “eminent” QC’s who are household names turn their backs too, of course, along with the media' Why? Because the thing is so big – and shocking - could be one explanation. For her whistleblowing Carol is stalked daily where she lives by a team which has in it numerous locals to where she is residing – neighbours and others - all connected to this small, quiet, out of the way Northern English town where the police, council and everyone else - even high street banks and R Mail - are so heavily involved and are calling the shots, while officials in government repeatedly ignore everything told to them. 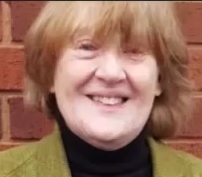 Carol has been locked away illegally in closed hospital mental units at least 5 times, to shut her up, but has always been released weeks later because the charges against her were lacking creditibilty, and she has also been falsely arrested numerous times since resigning her employment with the government in this very same county as a top Level 3 Social Worker and Child Protection officer, which included training other social workers as part of her role. Please see below, under the video etc. links, the latest update from whistleblower and ex-UK Government Social Worker Level 3 and Child Protection Officer Ms. Carol Woods, received 19 December 2016, [and before]. A lot of the posts shown throughout, beginning in the archive from Febuary 2016 – when Carol was being forcibly and illegally detained in a Lancs. “mental facility” – are emails sent by Carol to very top level UK Government figures, including police, some posts with addresses removed to comply with current laws. Everything sent is ignored wholesale by these government figures and departments. Please believe me – many have tried! While the more recent updates from Ms. Woods may concentrate on the more current ID frauds and similar relating to her at her present abode, it must be fully understood that the longstanding chronic stalking and serious I.D. frauds by locals and by parties known and unknown [most definitely connected to certain UK Government agencies, eg the police, Social Services etc.] are seemingly being enacted as a direct result of Ms. Woods reporting, or attempting to report certain findings [serious crimes] whilst employed by a UK town council as a senior Level 3 Social Worker and Child Protection Officer, as described within the videos and radio broadcasts that follow these paragraphs entitled “IMPORTANT VIDEOS”. The massive corruption that is described has so far gone unchecked and is ignored wholesale by whichever UK government agency it is reported to, which is clearly described within the videos – an absolute and utter public scandal! at least 5 separate enforced incarcerations in mental hospital units for no earthly good reason – one excuse used for such incarcerations being that Ms. Woods was mentally “deluded” in her findings of utter corruption within a Lancs. council – her latest incarceration being between November 2015 and Febuary 2016. Carol was also forced to take psychotropic drugs against her will during these hospital stays, and was threatened with re-arrest before her leaving the “Cygnet” unit, Lancs. in Febuary 2016.
enforced “bankruptcy” with no evidence whatsoever. Many more seriously criminal activities exist, committed against this lone female, which have been reported accordingly to no avail, along with her discoveries as a Level 3 Social Worker and Child Protection Officer. All of what is described, especially within the videos and related data below is a public scandal, and equally as disgusting is that nothing is being done about any of it by any UK government department contacted, from the Prime Minister down, let alone the heads of police forces and MPs! Dear Sirs This from Lancaster University where I find SOMEONE LOGGED ON IN MY NAME 1 hour ago. I open these emails and find someone else is using it. The one I guess and I am not usually wrong is the type used often, NOT a student, local lowlife using his own laptop and phone because he not a student can’t use the Uni systems, bearded, ginger, rough and with a RED jacket. I attach photos showing this is done in SERIOUS E-CRIME and proven yet not one whisper from anyone at all. I have taken photos of my screen again; what else can I do? It is taking me a great deal of time as my screen keeps “disappearing”. This is the yob I have just been to see what he’s up to. MY email is behaving exactly like the yobs found out in local library. The IOCCO should be investigating this but who can write to me? No one, mail for me goes to those who claim to be me in other addresses round Fell View LA2 9RP and no one does anything about that either. This is the Gestapo aiding such as JUNE WILLIAMS 30 Fell View and claiming that yobs and thugs are me as MR CAROL WOODS. Dear Sirs, At 8 minutes to 3pm today I in Lancaster library using this email address found that at least 1 was accessing what I typed which ALWAYS shows on my screen. I have taken photos of the terminals in use, mine, the yob in his RED JACKET and auburn hair to be the thief and fraudster’s “son” she AGNES JACKSON of 26 Fell View LA2 9RP who is currently “away” as me Ms Carol Woods – again. He left after logging off seeing me log off, BUT I also caught red handed one thug YOU use often. This is the younger son GLEN of thief and dullard I only know as “ELAINE” who YOU have had dress in RED and dye her thin grey hair RED to be me with her dollops of sons to be mine as if I was Agnes Jackson with her 2 sons, both in their 50′s and both thugs. The sons of “Elaine” or a name like that, have never worked, never will do yet are able to commit serious E-CRIME. One has learning difficulties, the older one JARROD, Glen never had any such difficulties. I think they live in the ULSTER RD area of Lancaster. I have not taken photos of those idiots because they are idiots BUT as they think they now work for MI5 having nothing else to do, then we can all see what they look like: I now have a good photo of GLEN preening as being so very clever working for the MI5! SCUM floating on this cess pit. E-CRIME and COMPUTER MISUSE now reported again. Yours etc Carol Woods Ms. 28 Fell View LA2 9RP for those cc this, the mail theft and TREASON is rife and why Jackson is “away” as me just now. HER mail theft OF MY MAIL in conspiracy with Royal Mail found out and on camera and she is sent “away” to pose as me leaving me to be said to be someone else! The reports of TREASON remain ignored. The photos will be developed and scanned to send out after Xmas now. Evidence of Gangstalking (ABC News) – Duration: 7:28. https://www.youtube.com/watch?